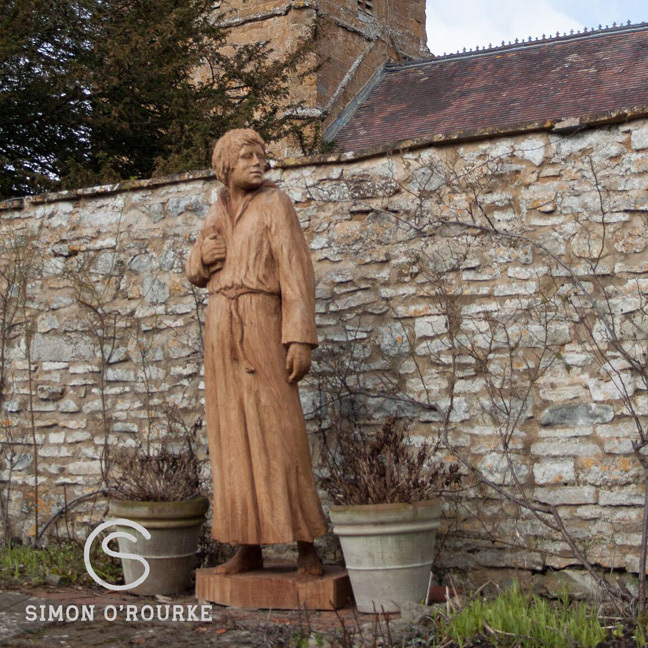 Monks of Monksbridge – Comprising of 6 life-size figures. 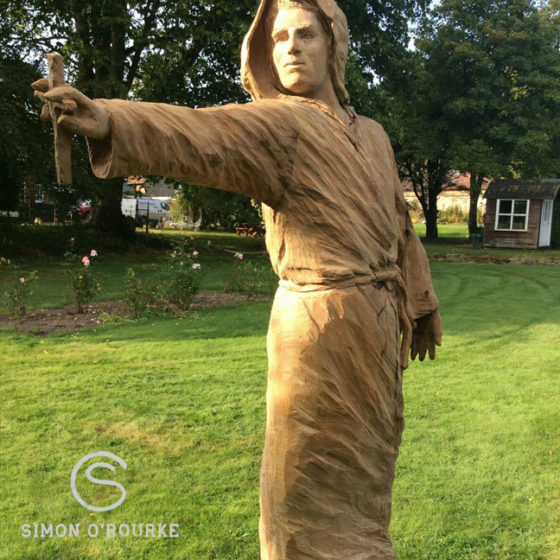 I was contacted by the client and asked to create 6 life-size medieval monks to be placed in the 3 acre garden of his house, “Monksbridge”. 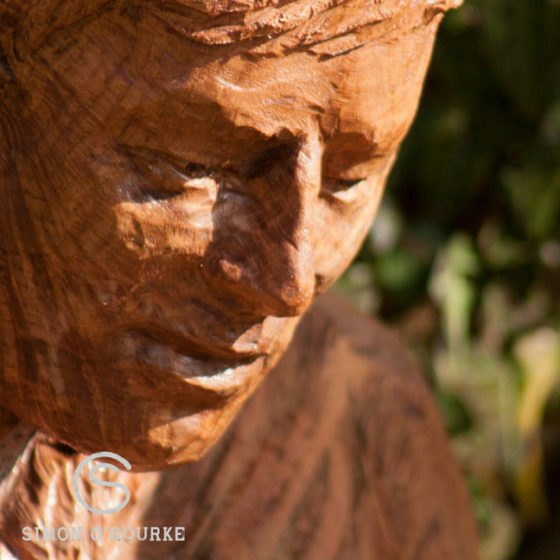 It was an exciting project to undertake as I have a real passion for sculpting the human form! After consultation with the client, poses were decided on, and I began searching for the right pieces of wood. I chose to use Oak for all of the sculptures as it lasts very well outdoors and looks great when it begins to weather. Creating emotions and a narrative was my goal with these monks, so I had little stories in my mind as I was carving. For example, Brother Ambrose was reading the history of the priory, and as the sunlight caught the columns in the cloisters, he paused and turned to watch as the setting sun descended over the top of the green hills. I left the clothing on the figures as a rough chainsaw finish to emphasise the rough cloth of the robes, and sanded the skin smooth and gave a detailed finish to the features. 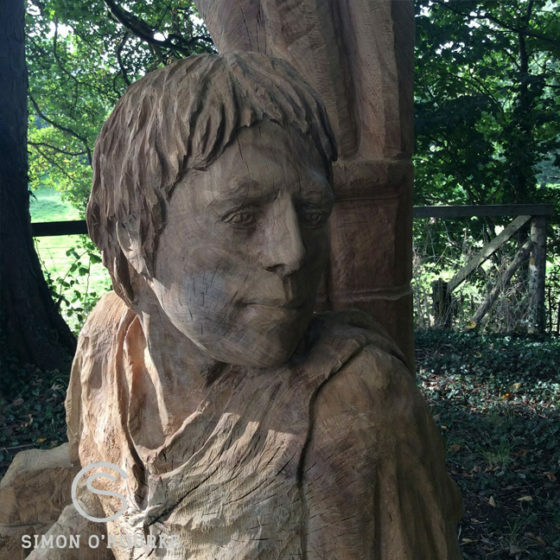 I really enjoyed working on these sculptures and it was great to be part of making such a wonderful property even nicer!